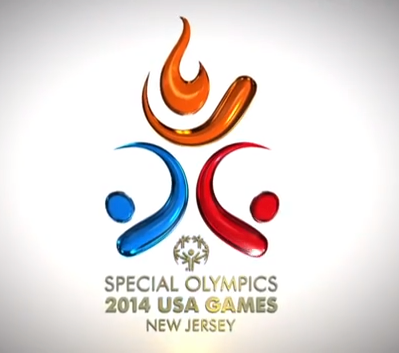 On Thursday, June 12, at approximately 10:40 a.m., Law Enforcement volunteers, Special Olympics athletes and enthusiasts will be arriving at the Richard Stockton College of New Jersey on the Main Campus before continuing on the annual Torch Run that will ultimately lead to the Opening Ceremony of the 2014 Special Olympics USA Games in Newark on June 15th. The Torch Run will begin at the Wildwoods Convention Center and make a stop at the Atlantic City’s Boardwalk Hall before making an appearance at Stockton. Immediately following their arrival at Stockton, the runners and supporters will continue on their voyage to Long Beach Municipal Hall before ending their route in Newark, NJ. Fifty-two law enforcement individuals and six Special Olympic athletes throughout the United States will participate in carrying the Special Olympics “Flame of Hope” on three synchronized paths in New Jersey, New York and Pennsylvania as a part of the “Final Leg Team”. The Richard Stockton College of New Jersey’s Main Campus is located at 101 Vera King Farris Drive, Galloway, New Jersey.